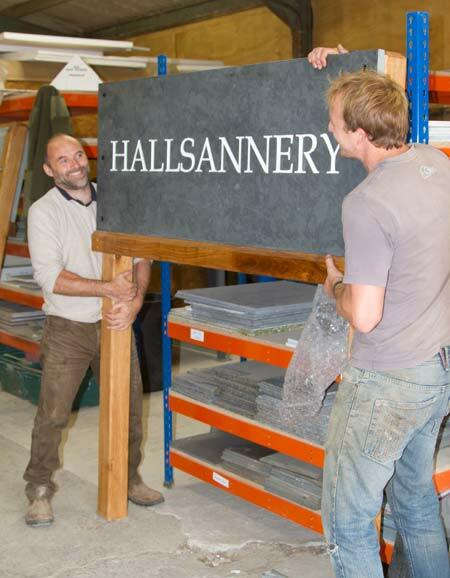 At our workshops we are able to cut slate to almost any size to create you slate sign or memorial stone tablet just the way you want it. 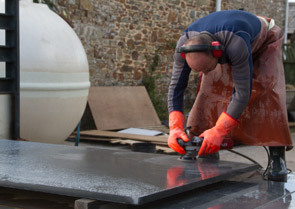 We have a good stock of slate in various thicknesses but can obtain extra large peices of slate quite quickly. 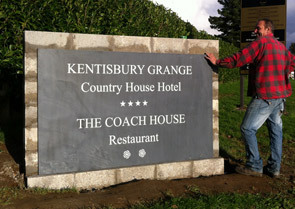 The Large Slate Signs are made with natural slate with smooth, but not highly polished surface. This shows the markings and grain of this lovely material - each piece is different. 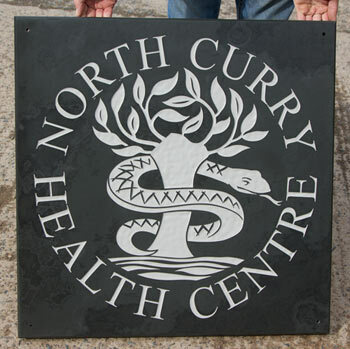 If you would prefer a sign without any grain or natural slate markings, we suggest using engraved slate corian. 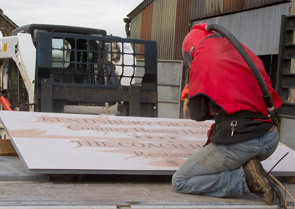 Very heavy signs - over 30kg are sent on a pallet lorry - the rest are sent by courier. Parcels over 1100mm x 900mm x 900mm need a double pallet. 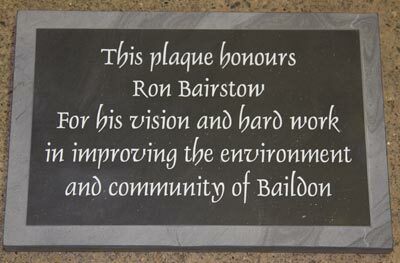 As this is expensive, it may be worthwhile collecting your sign. The price includes first 6 characters. The next 19 letters will cost £1.10 per letter, thereafter 55p per letter. 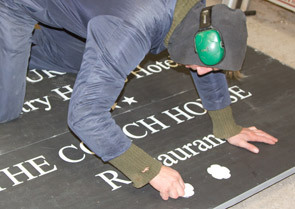 The letters for slate signs are normally painted white. Black is also used as are silver and gold. For a more natural gentle colour we match the Farrow & Ball colour Lichen which is light green. 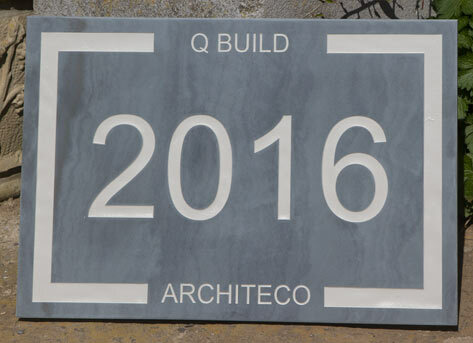 Another natural look is F&B Purbeck Stone which is a very light grey. We can match other F&B colours @ a cost of £55. We can add a line border with indented or square corners. 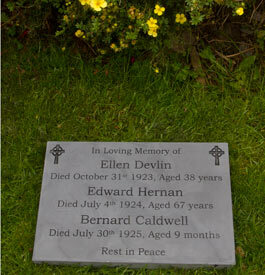 Another interesting technique is the border in relief where the stone around the outside of the sign is blasted away leaving the required shape in the middle. 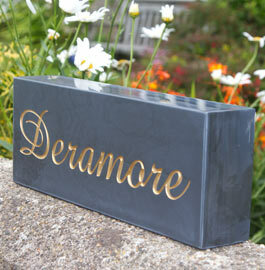 We also have a selection of decorative borders - Click Here - The decorative etched border can be painted or left unpainted. 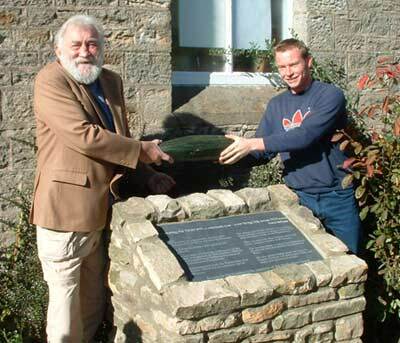 Posts can be supplied if required - click here. 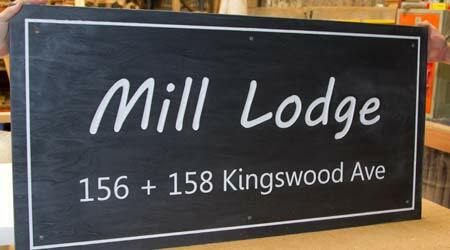 The 30mm slate sign to the right has been bolted to 4"x4" oak posts. Extra support has been provided by the oak support rail. 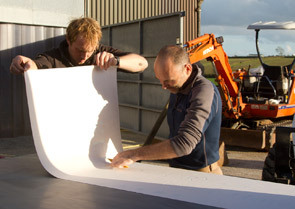 This is a very heavy sign which need three men to move it! 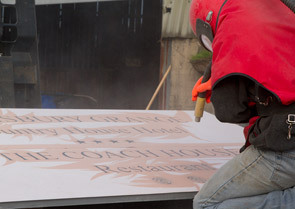 Our team at The Sign Maker looks forward to helping you with your large slate signs.